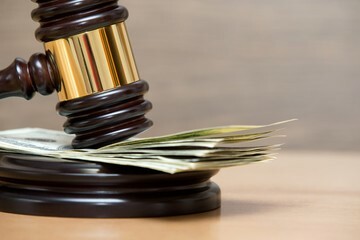 Trending in the background screening industry, companies are being targeted for FCRA class action lawsuits due to technical violations and minor discrepancies with big payouts. Recently, there have been an unsettling number of FCRA class action lawsuits based primarily on technical violations of the Fair Credit Reporting Act (FCRA). This year, Petco was hit with a whopping $1.2 million settlement due to their FCRA wrongdoing. The FCRA was originally passed in 1970 to ensure fairness, accuracy and privacy of the personal information contained in the files of the credit reporting agencies (CRAs). Do you fall under this category? The FCRA applies to any employer that uses a consumer report to conduct background checks on prospective or existing employees. Otherwise known as the “stand-alone disclosure requirement”. Before an employer obtains a consumer report, they must give written notification to the applicant that the employer will be conducting a consumer report for employment. The name might sound straightforward, but hundreds of organizations fail to keep their FCRA Notice and Disclosure forms clear and conspicuous for the applicant or individual. If the form is combined with extraneous information besides the disclosure, you could be at fault to pay up to $100 to $1,000 for each individual violation in a FCRA class action lawsuit plus uncapped punitive damages. Based on the results of the consumer report, you may decide to take adverse action. BEFORE this can be done, you must give notice to the individual or applicant and provide them with a written summary of their rights under the FCRA. Additionally, the employer, must also provide a copy of the report with the notice. A reasonable length of time must pass, typically 5-10 days, before the adverse action is completed. This allows the individual enough time to identify false information in the report and challenge the accuracy. If after the notice and waiting period above, an employer decides to take adverse action, they must provide to the applicant a final notice of the action completed. Specifically, the notice is required to include the name, address, and phone number of the Consumer Reporting Agency (CRA). The notice must also inform the individual that they have the right to obtain a free copy of the report from the CRA within 60 days and they have the right to dispute the information. The notice must also include that the CRA did not make the adverse action, the employer or agency requiring the consumer report did, and the CRA cannot specify the reasons for the action to take place. The employer or agency must provide a copy of the applicant’s summary of rights to the applicant in order to be compliant. Compliance with Background Decision is easy! To avoid a FCRA class action lawsuit, review your current policies and procedures. Background Decision offers a comprehensive service offering that integrates with over 50 Applicant Tracking Systems. The expert intelligence of our FCRA certified production team, combined with our innovative technology, helps ensure our clients are able to comply with their FCRA obligations. Attend our educational webinar series to learn more about background screening policies, FCRA compliance and more! Click here for more information. Ashley Hendricks graduated from Johnson & Wales University in 2015 and recently joined the Background Decision team after serving in the United States Army. She specialized in personnel and operations security during her time in service. She is currently certified in the Fair Credit Reporting Act under the National Association of Professional Background Screeners (NAPBS). If you have any questions for Ashley feel free to contact us.